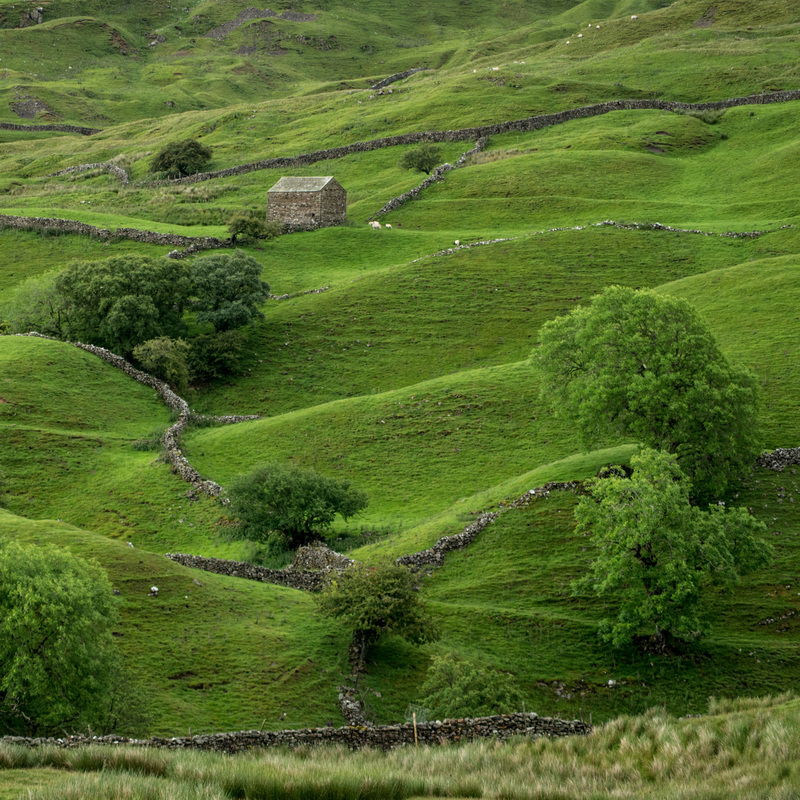 Field barn above Muker, Swaledale, with trees in full leaf. Midsummer but the air is cool. The subdued light soon changes as the sun breaks through the clouds, but only for a moment.